Danny was born into a race track family during the heyday of the Nebraska circuit. As an infant he literally rode before he could walk. 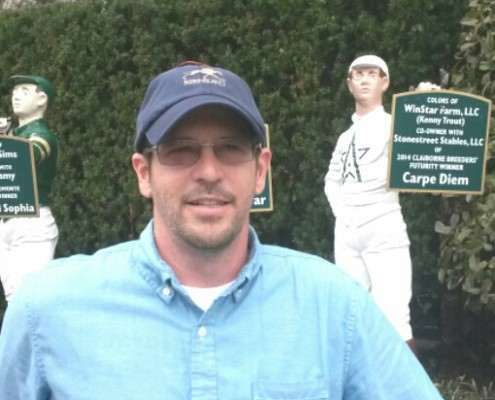 With a father and an uncle who trained thoroughbreds and another uncle who rode, Danny did not lack instruction in all aspects of horse care and conditioning. He had his own jock saddle and pint-sized stick and no one rode a bale of straw better than him. Like most racetrack kids he grew up doing chores at the barn. By the age of ten he was grooming, feeding and bandageing. This was quickly followed by ponying and exercising. Of course, that had to take place before the track officially opened in the morning. By the time he was old enough to obtain a valid exercise license, Danny was an accomplished and confident rider with an abundance of horse sense. He established life-long friendships with people in all aspects of racing and growing up in that environment prepared him to be able to relate to everyone in the shedrow, from hotwalkers to owners. After helping to keep his fathers low-end claimers sound enough to compete, Danny moved to Kentucky in 1997. Farm Five O Five provided the opportunity to break and gallop some good stock and led to a position of farm manager at Normandy Farm. Danny has broke or galloped some outstanding horses in his career, including Victory Gallop, Unbridled Energy, Albert The Great, Bluegrass Cat, Sharp Humor & Hold Me Back. Most recently, Danny was responsible for galloping Triple Crown contender, Far Right. Despite all his work with those high profile horses and outfits. One of Danny’s proudest achievements is his success with a bowed tendon horse called VooDoo Doctor that was given to him to use as a pony horse. After consulting with the original owner and agreeing to several conditions, “Doc” started 16 times winning 2, placing 2 and showing 2 times. Lost in a claiming race, VooDoo Doctor was re-injured which prompted Danny’s wife, Charlena, to intervene. He is now enjoying life as a show horse. The success with this horse resulted in acquiring several public horses. Danny and Charlena are continuing the family tradition with their two children and even though Ella and Ada are still very young, they are learning the family business from the ground up. Most recently, a horse trained by this happy family won his first out at Keeneland, grabbing the attention of Michael and Allen Faber who are always looking for undiscovered talent, be it horses or people. 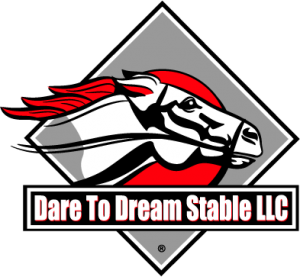 Join our E-Mail list to receive special offers, new partnership opportunities, updates on our horses and industry related news!